Come join the best social entrepreneurs in Austin, Texas. Our AmeriCorps members have a direct impact serving people and solving problems while receiving structured training and professional development. Explore to find out how you can be part of a rich network of social innovators. Service is a fundamental part of Austin’s culture. With over 700 AmeriCorps*State members serving in the metro area every year across nine state programs, National Service participants in Austin tackle tough issues like poverty, illiteracy, housing insecurity, and environmental stewardship. 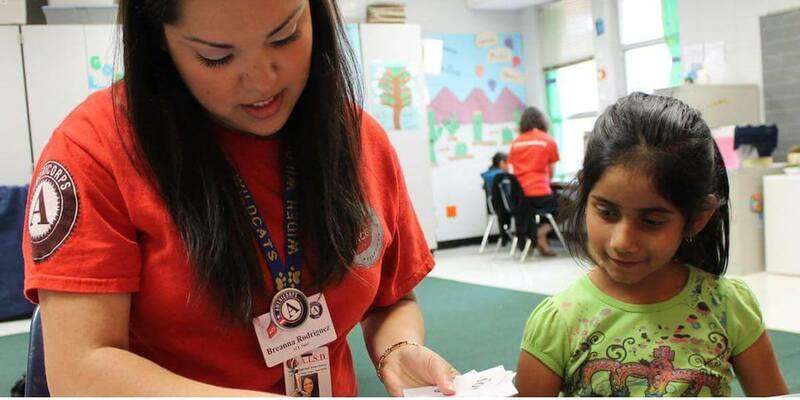 AmeriCorps members in Austin work together to provide resources and relief to more than 22,000 individuals annually. There’s truly something here for everyone. Join us! Let's #GetThingsDone for Austin. AmeriCorps members in Austin have the unique opportunity to explore a vibrant city while making the world a better place. Our nine programs each offer a different opportunity to meet the needs of this diverse community. Whether you’re tutoring, trail‐building, mentoring, or providing housing services, you’ll gain insight into the nonprofit sector by building your network and polishing your skills. Come serve Austin; the life you change here just might be your own! Ready to serve in Austin?